On a rainy Sunday in January I woke up bright and early and headed to Paris with Debbie from the Decorcafe. 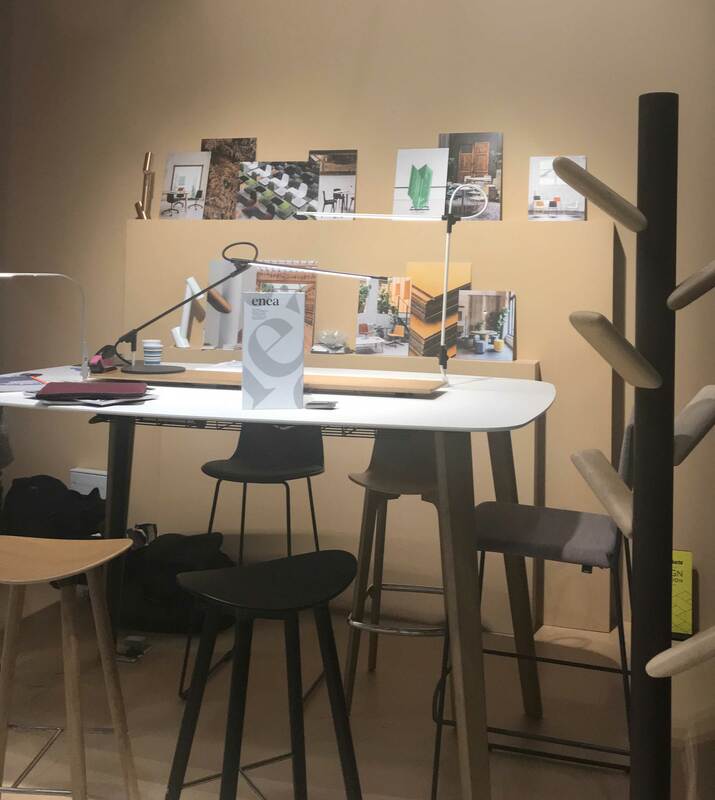 We were on a mission to absorb as much inspiration as we could in one day at Masion & Object, the largest trade show for furniture, lighting and interior design. The show was awash with bold solid colours, with shades of greens mixed with warm terracotta emerging as a strong trend. 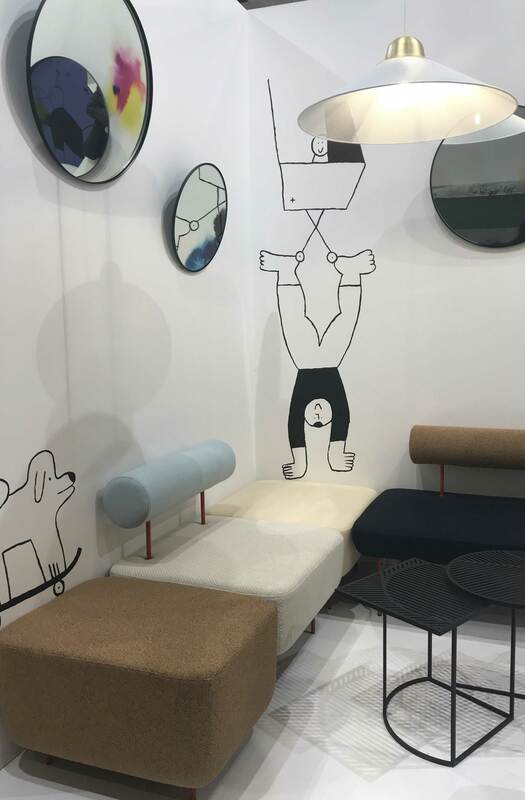 My absolute favourite stand was Petite Friture, I loved their use of graphic colour and illustration. Their furniture and lighting felt so fresh and original I could have spent all day on their stand. I loved seeing on many stands the mix of natural materials such as leather, woods and rattan. There was a real trend for mixing miss matching metals together, with woods and marbles. 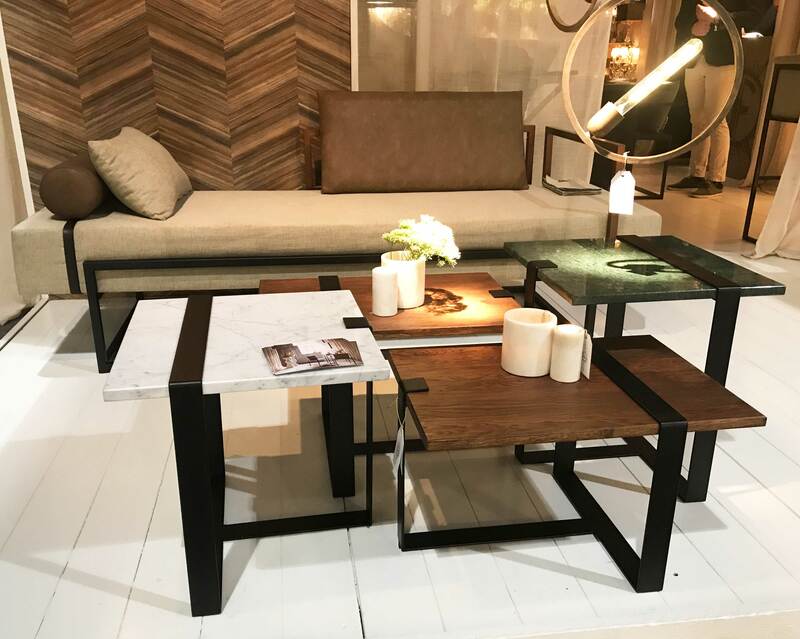 Think mixing different shaped coffee tables together or clusters of mirrors in all shapes and sizes. A great idea if you want to add to existing furniture instead of replacing everything. 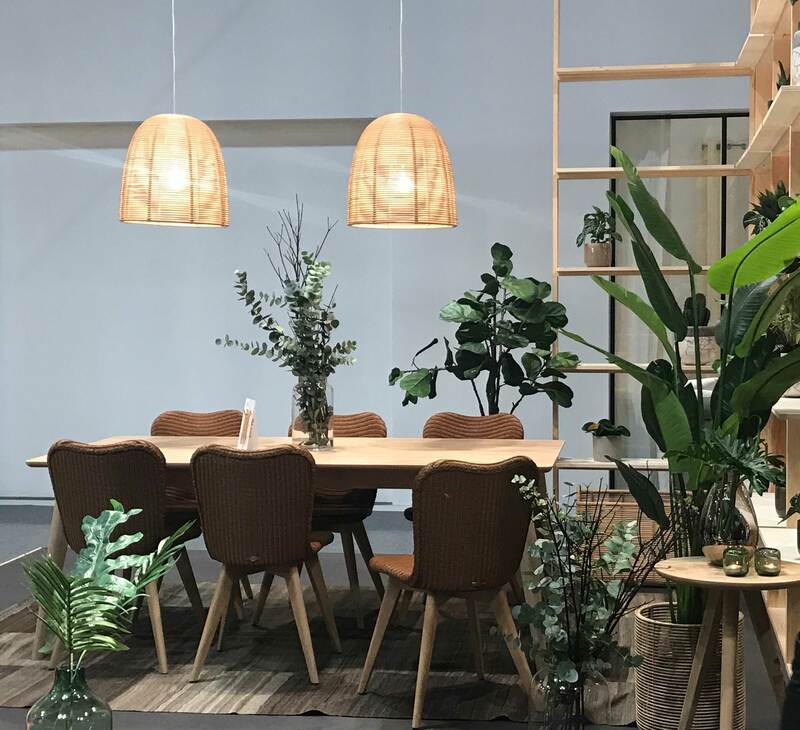 Bringing the outside in was a big trend in 2017 and its here to stay, if something stood still long enough at the show there was a plant placed on it. But think bigger plants and trailing plants for shelving displays. I had to pop down to my local florist the minute I got home to purchase a couple of trailing succulent plants just bring so much life into a home especially in these cold dark months. 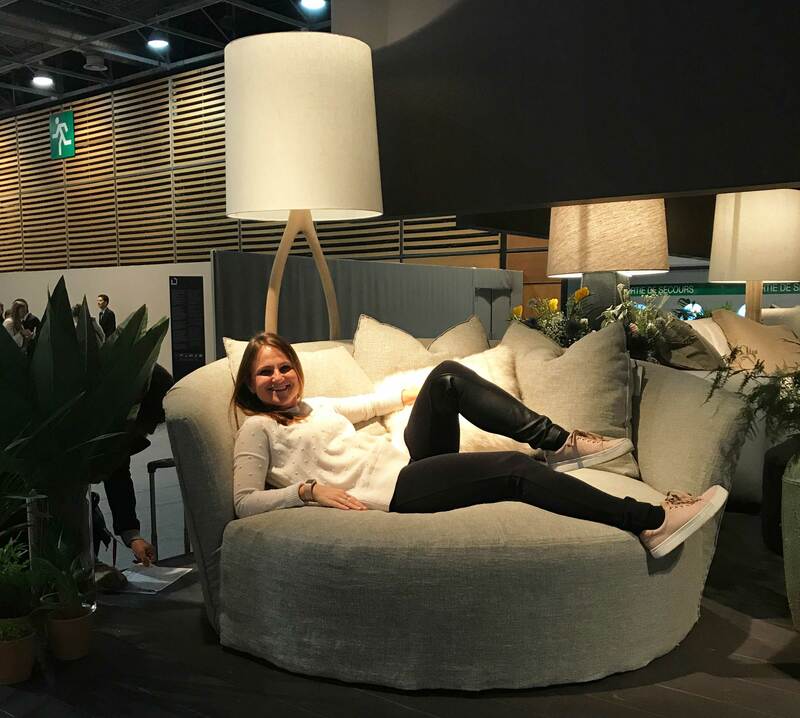 It was great to see a homelier feel filtering into office furniture, with a simple paired back style that could be recreated in a corporate or home office. So many of us are working from home now that this space needs more thought than ever to keep us inspired and motivated. Office furniture in the past has always been too hard and utilitarian, but now it is becoming cooler with a focus on woods and muted colour and textiles that are practical. I have been designing workplace for several years and it’s always been challenging to find furniture that is not hard or in scary bright colours. The day was a long one with 22,000 steps on my Fitbit, I felt I soaked up as much inspiration as I possibly could, I loved to see the interesting European brands with young designers emerging from Belgium and Portugal with a fresh approach. What I also found interesting was how many UK based brands I got to meet for the first time who do not always exhibit in the UK, therefore I will be popping over next year as I loved the day. I thought I would end this blog with my favourite product of the day. 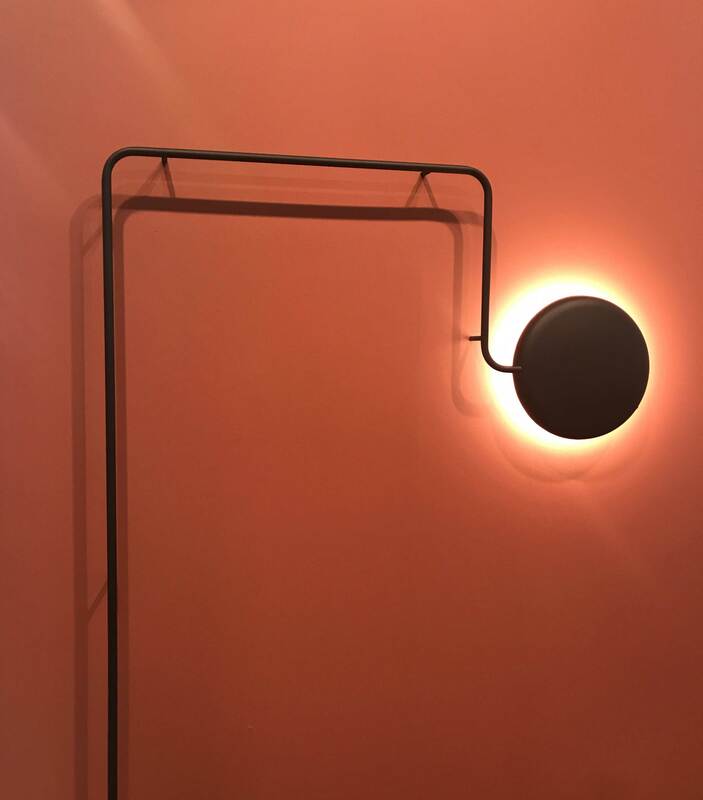 I loved the shape of this stunning floor lamp, totally gorgeous. 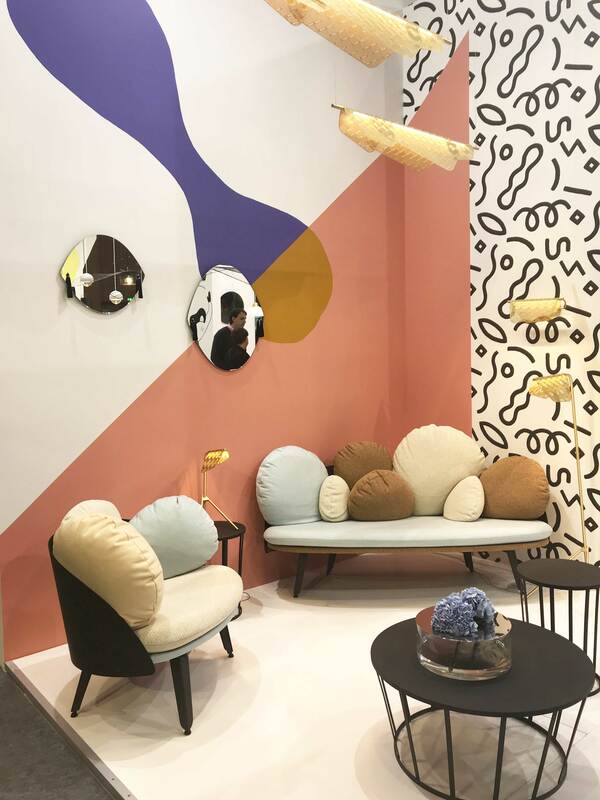 This entry was posted in Uncategorised and tagged Masionetobject mansion&object Interior Design Nikki-rees Trends2018 Interiortrends Inspiration by n1kkir33s. Bookmark the permalink.